Christmas is coming and there are only around 30 shopping days to go! Perhaps it is time to start thinking about gifts for others. Alternatively, you could ignore all that for now and treat yourself to some tank-related goodies! 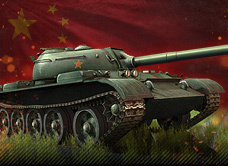 Our Tier VIII of the Week is the Chinese medium tank, the T-34-3! Give this oriental beast a spin and enjoy some extras. As well as a garage slot, it comes with 2,500 gold and a full set of equipment – a Large-Calibre Tank Gun Rammer, Improved Ventilation Class 2 and a Vertical Stabiliser Mk 1! It also comes with 7 days of premium account time for free. Are you a person who just wants everything? We have the ultimate package for you –the No Limit Package. Enjoy a massive 15,000 gold and 15,000,000 credits! 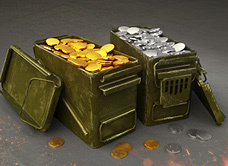 That’s more than enough to buy any vehicle in the entire game and still have enough left over to splash out on bling. Alternatively, you could just fill a pool with gold and credits and go swimming in them. Our regular offers are still here. 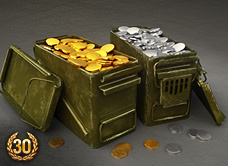 The Offer of the Month gives you a bit of everything – 3,500 gold and 30 days of premium account time with 100,000 credits thrown in for free! Meanwhile the ever popular Golden Bundle provides you with 12,500 gold – enough for any premium Tier VIII tank in the game. It also comes with 37 days of premium account time, which includes 7 days for free. Looking for a quick fix? 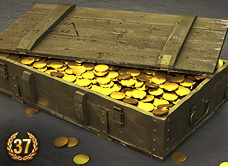 Try the Friendship Package, which consists of 1,500 gold and 7 days of premium account time. It’s the perfect treat for yourself or a friend. Alternatively, if you are just looking to settle down for a weekend of gaming, then the Weekend Warrior bundle is for you – 1,250 gold and 3 days of premium account time. It’s all you need for the perfect weekend. Here’s a handy summary table. These offers are available from 22nd November 06:10 CET (GMT +1) until 29th November 06:00 CET. This Chinese medium tank is a real beast in it’s class. It is really similar to the famous Type 59 medium tank and will most likely be a great purchase for any medium tank lovers. Enjoy the 'hell on wheels' coming straight from the Far East! 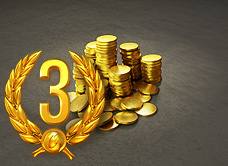 Which offer suits you best, Commanders?